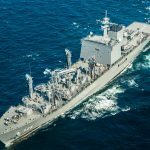 Admiral Dennis Blair parses the defense policies and strategies of Japan and the United States during the past five years. The threats from North Korea and China have grown more intense, writes Admiral Blair, but the Alliance and cooperation between Japan and the United States have never been stronger. In Issue No. 13 of the Sasakawa USA Forum, Michael Bosack describes the gap that exists between the Japan Coast Guard, the U.S. military, and Japan’s Self-Defense Forces, and proposes recommendations to improve relations and communication between these entities in order to better respond to grey zone conflicts and escalations. 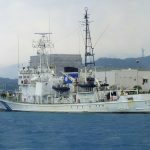 Brittney Washington, Program Assistant for Sasakawa USA, and Kangkyu “David” Lee, former Program Assistant for Sasakawa USA, have published an article in Japan Today about the Japan Self-Defense Forces, and Japanese PM Abe’s efforts to constitutionally redefine Japan’s national defense strategy. 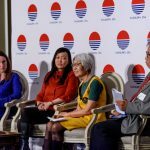 Join Sasakawa USA on April 24, 2019, at the Willard InterContinental Hotel in Washington, D.C., for the Sixth Annual Sasakawa USA Security Forum. 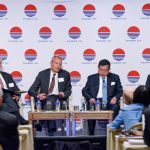 The day-long event will feature key experts and officials from government, business, think tanks, and academia as they discuss and debate future challenges for the United States and Japan. 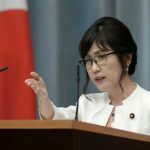 Japanese Defense Minister Tomomi Inada may have a difficult time regaining public trust after a scandal involving a right-wing education group, and another related to the role of Japanese Self Defense Forces operating in South Sudan, Sasakawa USA’s Jeffrey Hornung told the New York Times in an article on March 21.